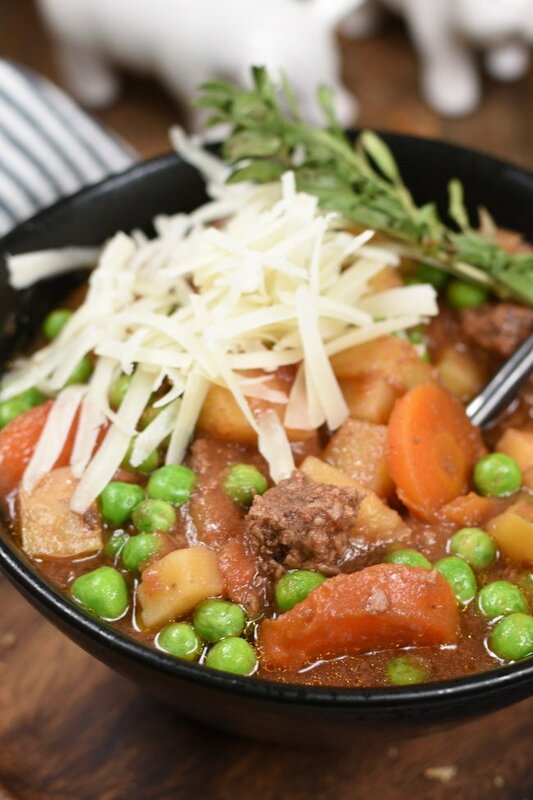 There’s not very many foods as comforting as a bowl of hearty Slow Cooker Beef Stew! 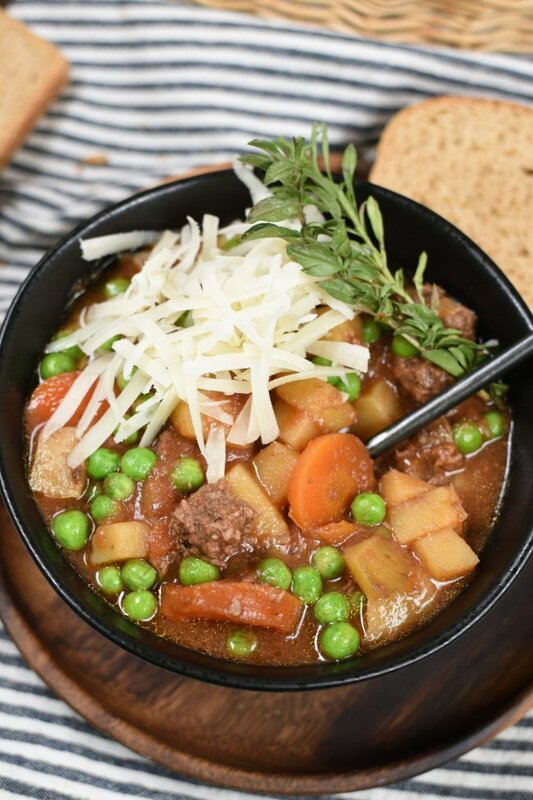 This stew recipe is loaded with vegetables and has the most tender, melt in your mouth pieces of beef! It’s perfect for extra busy days too because all you need to do is dice up the veggies and meat, throw a few ingredients in the slow cooker to make a broth, and add simple seasonings! Just like that…dinner will be waiting for you! 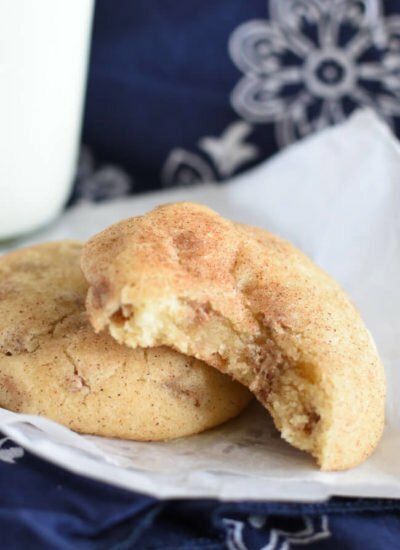 If you ‘re always on the hunt for super-duper easy recipes you’re in the right place! 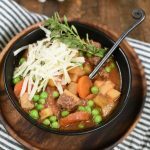 Slow Cooker Beef Stew is one of those recipes where you throw everything in the slow cooker and let the magic happen! The longer it cooks the better, and if that wasn’t enough the leftovers are even better! You can’t beat that! It’s a really good thing the leftovers are every bit as good as the first time around with this soup because stew is one of those meals that seems to magically grows bigger than you thought possible! My kids have been packing leftovers in their school lunches all week! It’s definitely been a stew and No Knead Whole Wheat Bread kind of week! 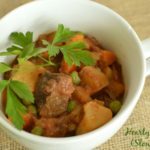 What vegetables can I add to Slow Cooker Beef Stew? Need another reason to make this soup? It’s so inexpensive! Staying on track with your grocery budget has never been tastier! I have leftover carrots and potatoes from my garden and I was happy to use them up. You can scrounge around in the bottom of your freezer and grab whatever other vegetables that have been lost and add them to the stew too! There really aren’t any rules with stew. Just substitute what you already have on hand for the same amounts of vegetables listed on the recipe. Here are some alternative vegetable ideas to get you started. Some vegetables take less time to cook than others so you’ll want to add them last. Others like sweet potatoes and squash will need longer so be sure to add them with carrots and potatoes. 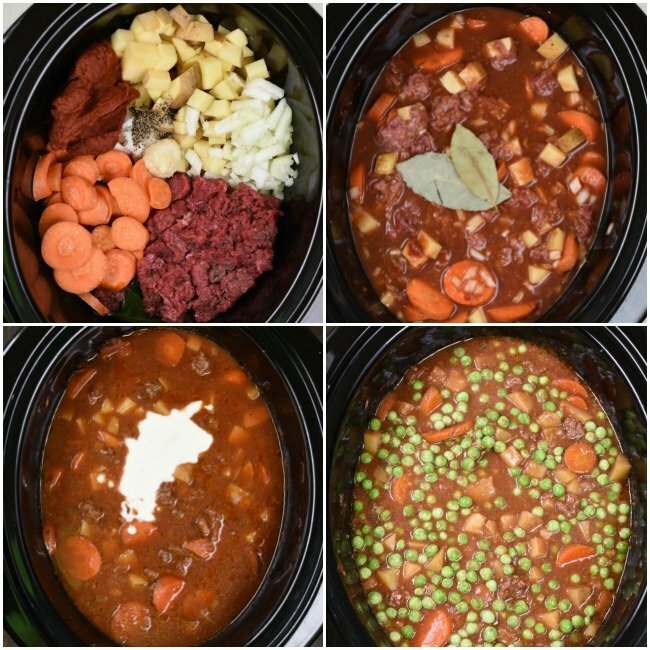 What cuts of beef can I use in Slow Cooker Beef Stew? Even hamburger works. Be sure to brown it before adding it to the slow cooker. Some recipes say you need to sear the beef chunks before adding them to the slow cooker. If you want the extra work, go right ahead! It will create a gorgeous brown crust on the outside of the beef. I don’t typically sear my beef first and it turns out perfectly. So, here’s to skipping extra pan washing! 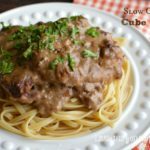 What can I serve Slow Cooker Beef Stew with? Personally, I think every bowl of stew, or soup for that matter deserves a warm slice of bread! But you know, if you don’t have time for that go ahead and serve it with saltine crackers. It will get you by in a pinch! 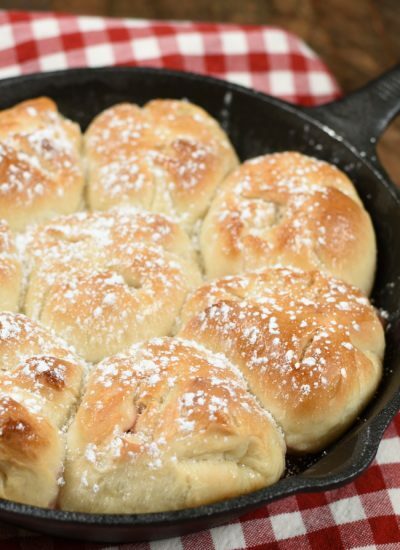 Here are a few of my favorite breads for serving with soup and stews. Since I’m a dairy farmer I think I should add that I almost feel like it’s a sin to serve Beef Stew without a generous sprinkling of grated cheese! Cheddar is always a fantastic classic option, Pepper jack will add a nice touch of spice, Parmesan gives good depth, and mozzarella will be so gooey and melted! It doesn’t matter which kind of cheese you add…just be sure to add more than enough! 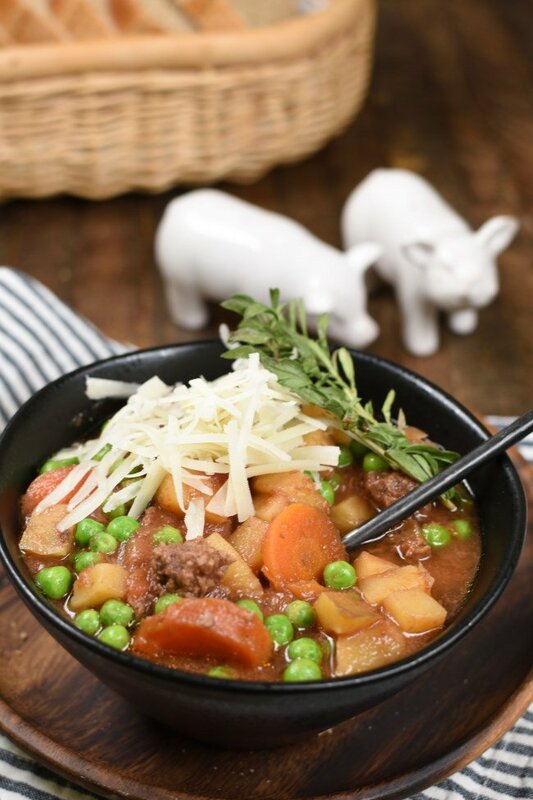 Grab my Beef Slow Cooker Stew recipe! This classic Slow Cooker Beef Stew will take you back to everything you remember about the comfort of your family gathered around the table on cold winter days! 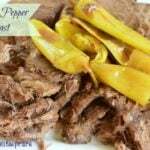 It’s has all the amazing flavors of Slow Cooker Pot Roast in super easy stew form! Oh, I almost forgot to tell you that there are many, many days I assemble this stew the day before I want to serve it. Just leave it in the slow cooker overnight and all that’s left is setting that puppy on the slow cooker base in the morning. Carry on with your day and that’s all there is to it! There's not very many foods as comforting as a bowl of hearty Slow Cooker Beef Stew! 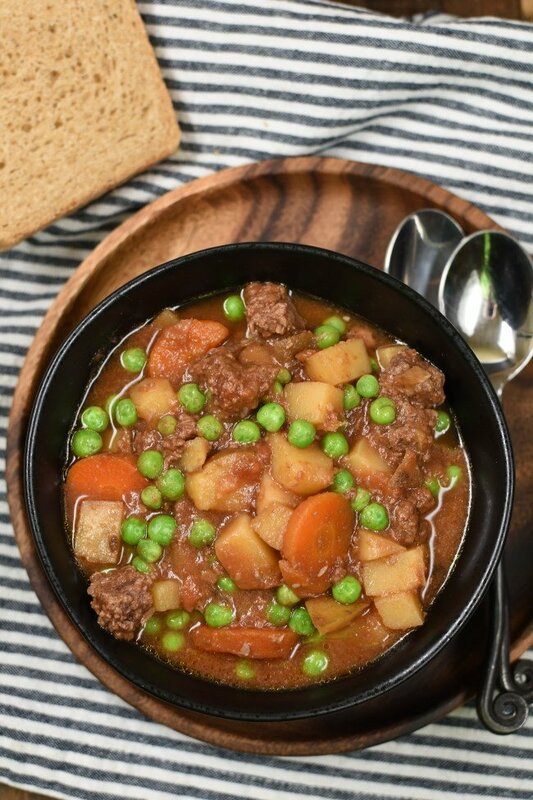 This stew recipe is loaded with vegetables and has the most tender, melt in your mouth pieces of beef! It's perfect for extra busy days too because all you need to do is dice up the veggies and meat, throw a few ingredients in the slow cooker to make a broth, and add simple seasonings! Just like that...dinner will be waiting for you! Add pieces of beef, diced carrots, onions, and potatoes to a slow cooker. Add garlic paste, sugar, salt, pepper, Worcestershire sauce, tomato juice, beef broth, and tomato paste to slow cooker. Stir to combine. Set bay leaves on top of stew. Cook on slow cooker 4 hours on high, or 6-8 hours on low. About 15 minutes before serving mix remove bay leaves. Stir to check consistency. If you'd like the stew broth to be a little thicker mix flour with about a 1/4 cup water. Stir until smooth. Add to stew and stir to combine. Add frozen peas and stir. Peas will warm up quickly and still retain that gorgeous fresh green color if they are added at the end of the cooking instead of with the other vegetables. Put lid back on slow cooker and let it sit for about 15 minutes. Serve with plenty of grated cheese and slices of bread! Store leftovers in the refrigerator. Microwave to reheat later. Other vegeables may be substituted for listed vegetables. Corn, celery, sweet potatoes, butternut squash, broccoli, green beans, cauliflower are all delicious options. Other cuts of beef may be substituted. 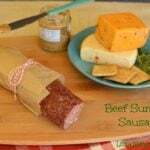 Cubed shoulder roast, round steak, round roast, and even hamburger are great options. Brown hamburger before adding to the slow cooker. This is one big bowl of comfort food! I can see this being popular as a way to warm up on a chilly day! My boys love it after they’ve been out working on the farm in the winter! It’s a great way to cozy up! I wish I had a big bowl of this beef stew right now. It looks fantastic! It’s so fantastic during these cold winter months! We also love it right after we harvest our own potatoes, carrots, and onions from the garden! Enjoy! Mmmmm! 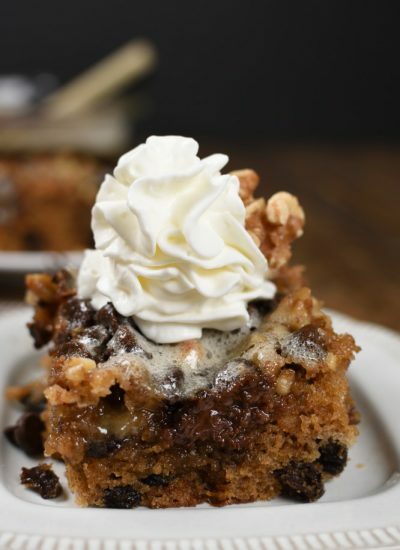 This is the perfect way to keep warm with all of the cold weather moving in this week! Don’t you feel so sorry for all those people that are experiencing such artic temperatures? It was -14 degrees at my house this morning and that’s cold enough for me! I wish I could deliver stew to their houses! It’s one of those meals I can always count on everyone in my family loving, except my husband! He’s a good sport about it though! Nothing like a great beef stew on a cold winter’s evening. Just lovely! Yes! It’s such a comforting way to warm up! And with the weather lately we all need more warm up foods! Ooo! 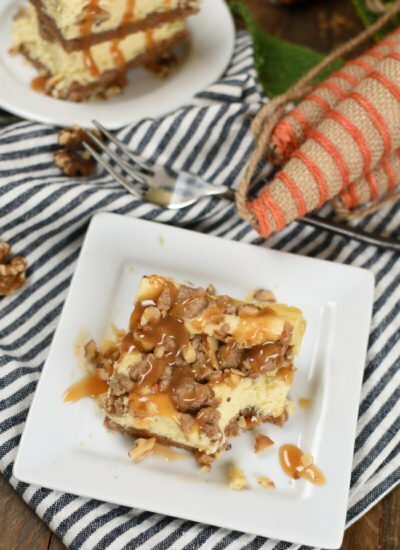 What a great dish for these still-chilly nights! Looks really hearty and rich! Who’s ready for summer? Me! As long as it’s cold I’m going to be warming up with this stew! I ate beef stew in different restaurant, but this recipe is one of a kind. I cooked it yesterday and the taste is awesome. Thanks to you, I can cook it on my own way. Homemade beef stew is magical! It’s one of our favorite comfort foods!